[Sorry! Couldn’t resist…] “Nestled in the grass under the big palm tree by the edge of the desert there is an entire civilization–a civilization of beetles. In this bug’s paradise, beetles write books, run restaurants, and even do scientific research. But not too much scientific research is allowed by the powerful elders, who guard a terrible secret about the world outside the shadow of the palm tree. Lucy is not one to quietly cooperate, however. 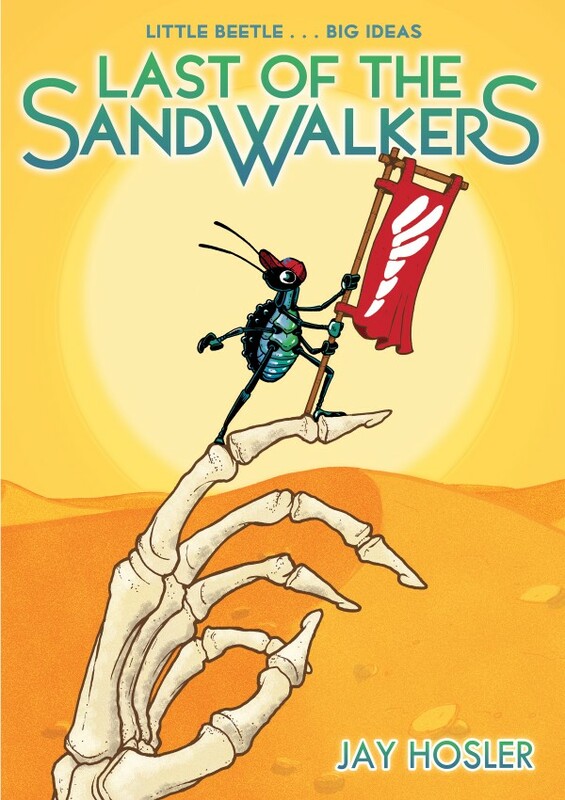 This tiny field scientist defies the law of her safe but authoritarian home and leads a team of researchers out into the desert. 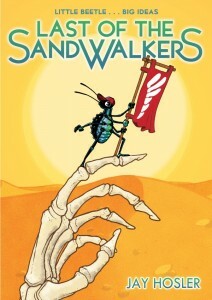 Their mission is to discover something about the greater world…but what lies in wait for them is going to change everything Lucy thought she knew.” That’s the official word from the publisher for Last of the Sandwalkers, a new black & white graphic novel written and illustrated by Jay Hosler. It’s available now from First Second Books. You should check out the extensive review over at Bleeding Cool also.